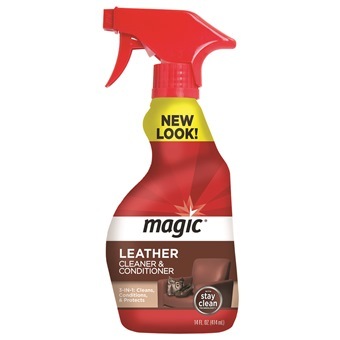 Magic Leather Revive 3-in-1 formula cleans, conditions, and protects with no greasy residue. Simply wipe it on and melt dirt and grime, renewing leather's suppleness and providing superior results. Ideal for leather furiture, automotive leather interiors, shoes, boots, jackets and luggage.